As far as defensive plays go, you could do worse with your money. 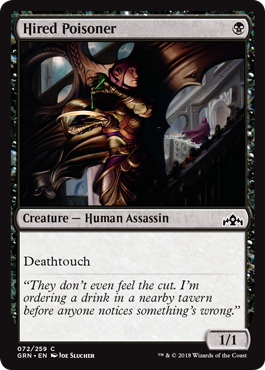 A 1/1 deathtouch keeps the ground clear, and does it cheaply. This plays nicely with undergrowth and helps keep surveil control decks alive, making it a good fit for most black decks.